Nuts are extremely helpful for weight loss (1). 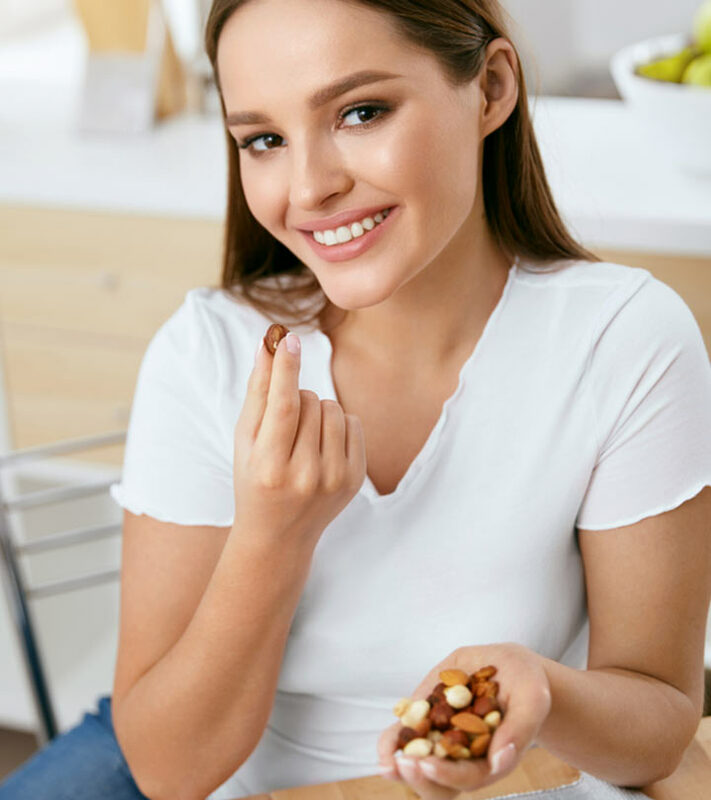 The healthy fats, proteins, dietary fiber, vitamins, and minerals in nuts help you shed extra pounds by increasing satiety, boosting metabolism, and providing energy (2), (3), (4). That said, you can also easily overconsume nuts, which leads to weight gain as they are high in calories. So, you must know which nuts to eat and in what amounts to aid weight loss. 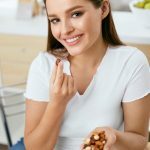 This post lists out the 9 best nuts for weight loss and how to consume them. Give it a quick read to get rid of the extra flab. Swipe up! Nuts also help prevent cardiovascular diseases (5). 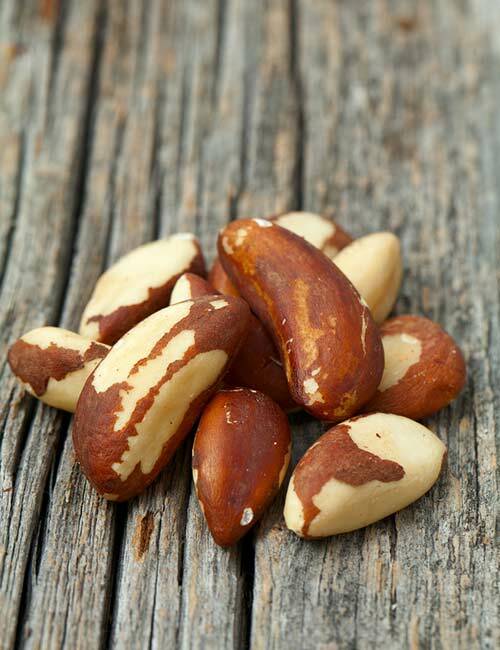 Brazil nuts are great sources of selenium, which plays a major role in your body’s antioxidant activity. Brazilian scientists also confirmed that consumption of Brazil nuts led to lower serum LDL (bad) cholesterol levels and high HDL (good) cholesterol levels (6). Additionally, they are rich in polyunsaturated and monounsaturated fats, which are good for preventing inflammation and inflammation-induced weight gain (7). Brazil nuts in kernels are best for weight loss. The time it takes to remove the kernel will prevent you from popping these tasty and creamy nuts one after another, thereby keeping your calorie intake in check. You can consume about 40 grams of Brazil nuts per day. Have it with breakfast so that your body can use up the calories as usable energy. 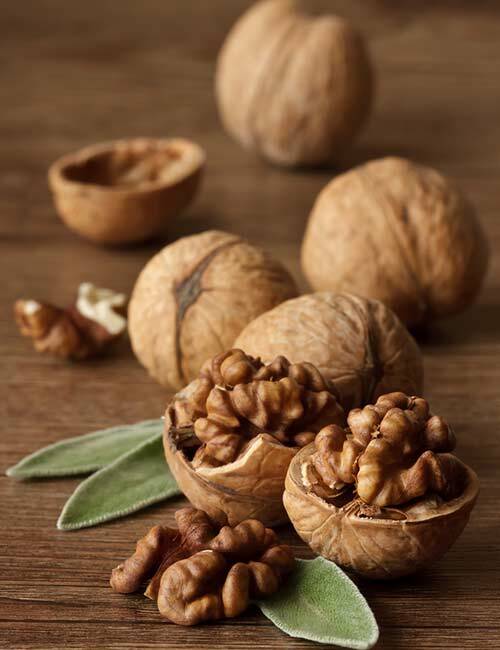 Walnuts are tree nuts that resemble the shape of a human brain. That’s the reason it is a popular belief that walnuts are good for your brain cells. But new scientific evidence shows that consuming 30 g of walnuts per day can help reduce body flab (8). Researchers have also found that walnut consumption helps reduce BMI and the risk of type 2 diabetes (9). If possible, consume walnuts that are in the shell. If not, consume raw or dry roasted walnuts without salt or any coating. You can safely consume 30 grams of walnuts per day for weight loss. Breakfast, mid-morning snack, or lunch. You can toss a few nuts in your breakfast bowl, smoothie, or lunch salad. 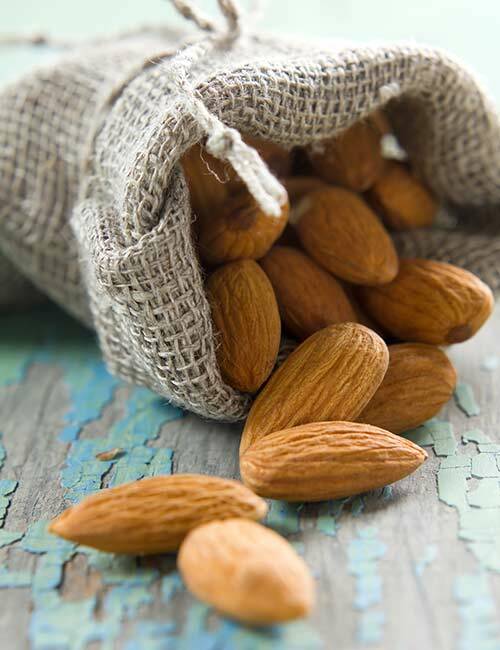 Almonds are energy-dense nuts that not only taste good but also aid weight loss. They are loaded with protein, dietary fiber, monounsaturated and polyunsaturated fatty acids, and calcium (10). American scientists found that people who consumed almonds regularly with a low-calorie diet were able to lose weight and sustain the weight loss (11). Soak a handful of almonds in water for about an hour and consume them with the outer sheath to get an extra dose of fiber. However, if you suffer from IBS/IBD or stomach ulcers, eat them without the outer sheath. You can also add almonds to your breakfast bowl and smoothies, or make almond milk and almond curd. Consume a handful of almonds per day. In the morning with breakfast or before working out. Pistachios are one of the best nuts for weight loss. However, only in-shell, unsalted pistachios are recommended for weight loss. That’s because these nuts taste great and can easily be overconsumed. If you control the portions, you can enjoy them as a snack without being bothered about gaining weight (12). To know more about pistachios for weight loss, click here. 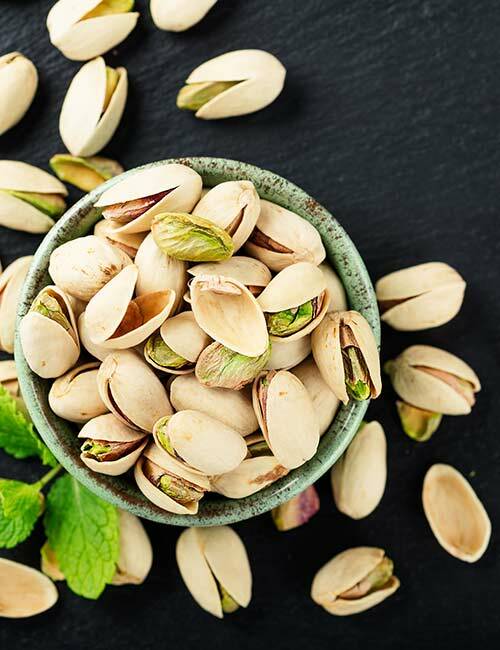 Consume in-shell, unsalted, raw or dry-roasted pistachios. Consume about 40 kernels of in-shell pistachios per day. Consume about 20 kernels of pistachios as a mid-morning snack and the other 20 kernels as an evening snack. 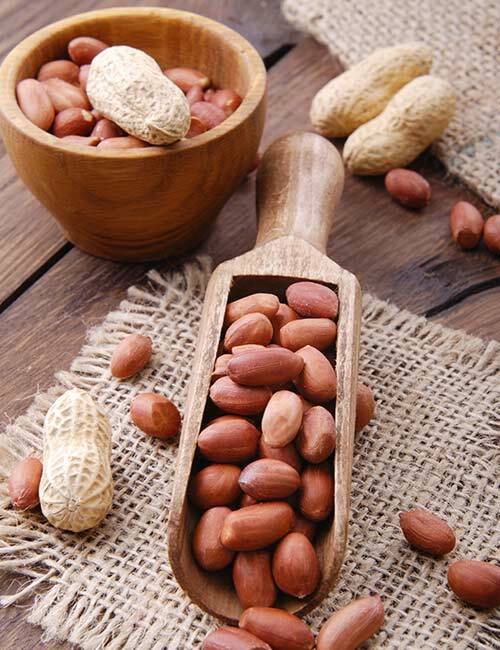 Peanuts are basically legumes and chock-full of nutrients. They are great sources of protein, healthy fats, folate, vitamin E, calcium, iron, and other phytonutrients. They help lower blood cholesterol and triglyceride levels, fight cancer, and protect from cardiovascular diseases, diabetes, and high blood pressure (13). Calories – About 168 calories. Consume in-shell, dry roasted or boiled peanuts so that you do not overconsume these calorie-dense nuts. An ounce of in-shell or boiled peanuts is safe to consume for weight loss. Consume these nuts as a snack. These ivory-colored nuts taste amazing and – if eaten in limited amounts – can lead to weight loss. That’s because cashews are nutrient-dense nuts that are loaded with monounsaturated fats, vitamin K, dietary fiber, protein, calcium, magnesium, and zinc (14). These nutrients scavenge harmful free oxygen radicals, reduce inflammation and stress, and improve satiety levels. 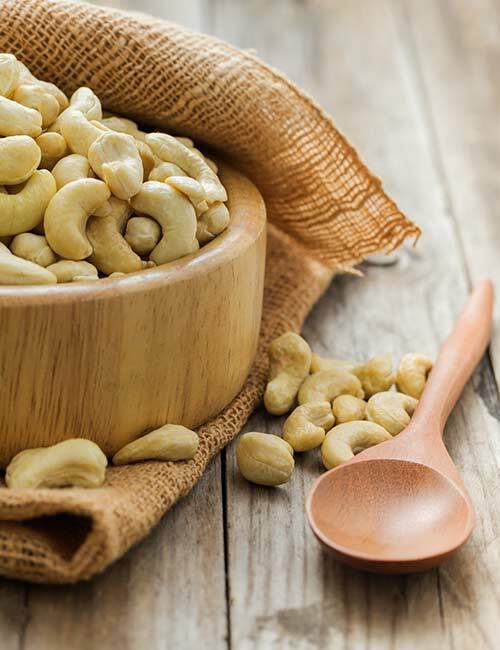 Consume raw, dry roasted, and unsalted cashews as a snack, toss a few into your breakfast bowl, and add to smoothies. Consume about an ounce of cashews per day. 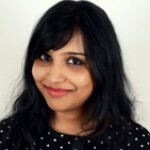 But make sure you do not overconsume them as that may lead to weight gain. The best time to consume cashews is before or after your breakfast. 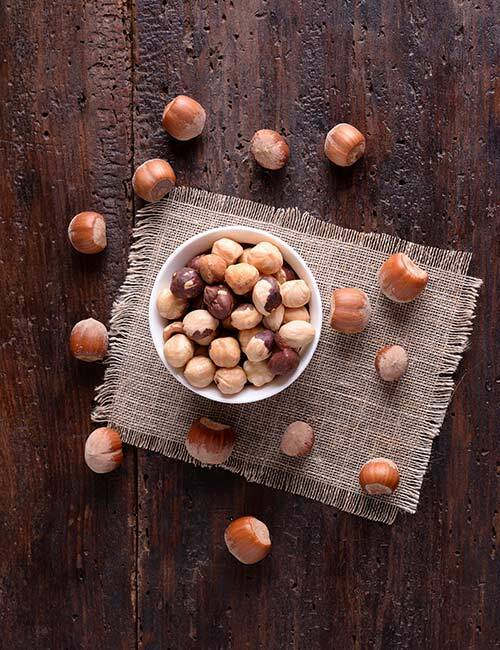 Hazelnuts, like any other nut, taste great and are rich in nutrients. They are rich in monounsaturated fats, vitamins A, E, and K, calcium, magnesium, and protein (15). They aid weight loss by reducing stress in the body, improving blood lipid levels, and increasing satiety. Italian scientists found that a hazelnut-rich diet could help reduce LDL cholesterol, thereby preventing cardiovascular diseases (16). Consume unsalted, dry roasted hazelnuts as a snack. You can also add them to your food to improve taste and nutrition. You can consume about a handful of hazelnuts per day. During breakfast or lunch, or as a mid-morning snack. 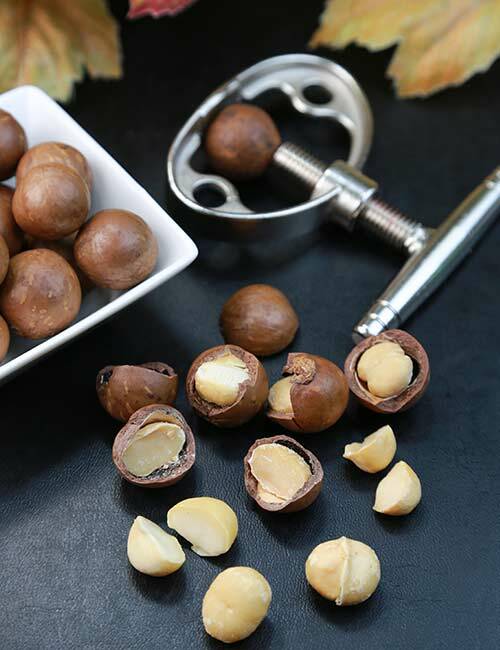 Macadamia nuts may be a little on the higher side of the calorie scale, but they are still great for weight loss. They are loaded with protein, dietary fiber, monounsaturated fats, folate, calcium, and magnesium. Macadamia nuts have antioxidant properties and, therefore, help reduce inflammation and inflammation-induced weight gain. Brazilian scientists also supplemented macadamia oil on laboratory mice and found that it lowered cholesterol levels and reduced inflammation in their fat cells (17). Consume dry roasted, unsalted macadamia nuts with breakfast, as a snack, or toss a few into your smoothie or salad bowl. You can consume about a handful of macadamia nuts per day. Consume macadamia nuts before workout and during breakfast or lunch. Last, but not the least, pecan nuts are rich in monounsaturated fats, protein, dietary fiber, vitamin A, calcium, iron, magnesium, and folate (18). They are also rich in antioxidants that help scavenge harmful free oxygen radicals, lower cholesterol, protect from heart and cardiovascular diseases, and fight cancer (19). 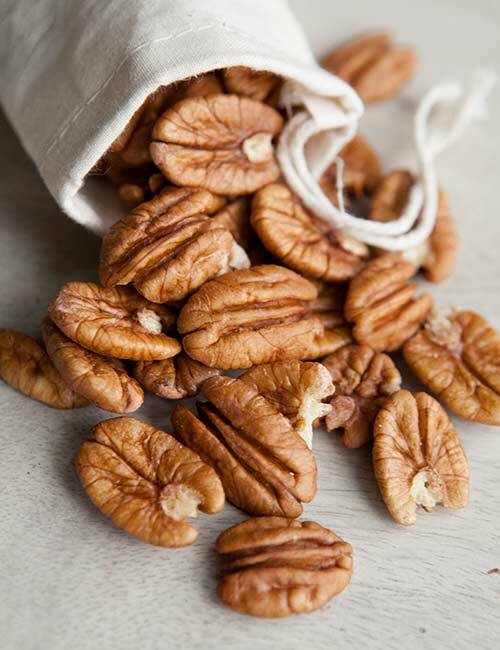 Consume raw or dry roasted, unsalted pecan nuts for weight loss. Add some to smoothies, breakfast bowls, and salads. Consume about 20 g of pecan nuts per day. Do not overshoot this limit as they are high in calories. Consume pecan nuts at breakfast, mid-morning, or lunchtime. These are the nuts that can help you shed fat. Make sure you control the portions and mix three nuts together to get various beneficial nutrients from them. Additionally, eat clean and workout at least 3-4 days a week to use the calories you consume as expendable energy. Otherwise, you will not see any reduction in your body fat. With these points in mind, go ahead and lose those extra pounds and live a healthy and disease-free life. Cheers!